Trevelyan Court Apartment 7 is an apartment located in Windsor, 1.3 km from Windsor Castle. Offering free private parking, the apartment is 2.3 km from Legoland Windsor. Free WiFi is offered . 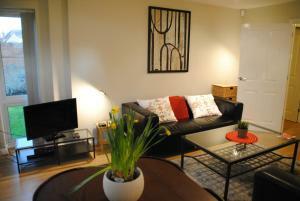 See all Trevelyan Court Apartment 7 reviews..